If you suffer from underpronation of the feet, you will understand the importance of finding the perfect pair of shoes which can provide you with the correct level of support and comfort. When experiencing the symptoms of underpronation, your foot will roll outwards at the ankle, causing the arch of your foot or your heel to feel pain. This pain may sometimes extend to the leg and the knee. However, this condition does not have to stop you living life to the full. Finding shoes which can support your feet will help your underpronation greatly, reducing or even eliminating your symptoms. View the Best Shoes for Underpronation, Below. Do all Running Shoes Contain Cushioning? How Can a Lightweight and Flexible Sole Help Combat Underpronation? We have reviewed ten of the best shoes for underpronation currently available on the market, helping you to decide which shoes are best for you and your symptoms. 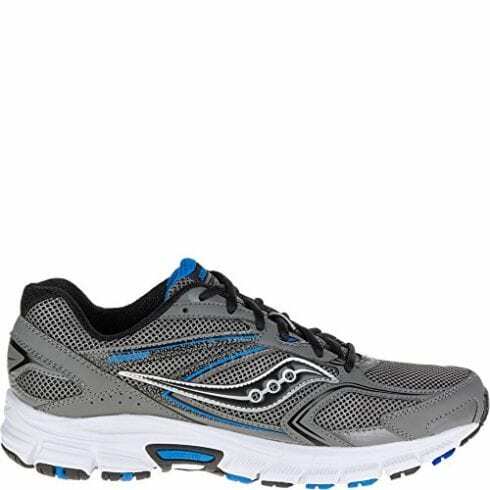 Featuring 100% synthetic/fabric material, the Saucony Cohesion 9 men’s running shoe features a padded tongue and collar in addition to lace-ups, providing a secure and comfortable fit. The breathable mesh material covering the top of the running shoe enables a fresh and cool feeling every time you wear them, while a full rubber sole ensures durability and longevity. The Heel GRID System is featured within the midsole foam, providing stable cushioning and relief for your heels. Additionally, the Flex grooves are added to the forefoot, delivering the additional flexibility you require. The Saucony Cohesion 9 is available in either a dark gray or a light gray design and features a 12mm heel to toe ratio. The addition of Flex Grooves within the Saucony Cohesion 9 enables you to experience full flexibility as the shoe moves with the actions of the feet. Additionally, the inclusion of the Heel GRID System provides a good level of comfort and support, reducing the symptoms of underpronation. The Brooks Women's Glycerin 16 shoe features a secure lace-up design in addition to a full rubber sole and fabric outer material. The inclusion of Brooks DNA LOFTS cushioning creates comfort and a soft feeling underneath your feet, ensuring that your shoes react efficiently to each movement. To increase support and comfort in every step, the new Fit Print upper shoe features 3D technology, enhancing quality and providing a great purchase. The Brooks Women's Glycerin 16 is available in two colorful styles which are sure to attract attention. 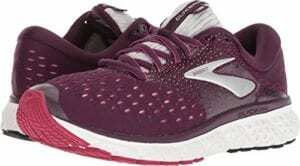 The addition of Brooks DNA LOFT cushioning makes the Brooks Women's Glycerin 16 shoe a sensible purchase, enabling your feet to experience a soft base, alleviating pain caused by underpronation. 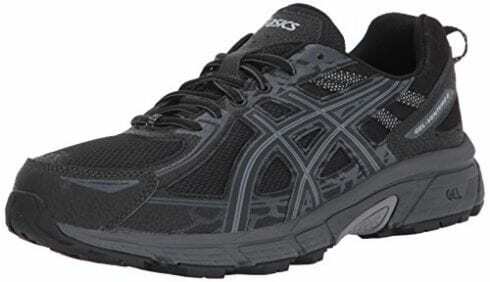 The ASICS Men's Gel-Venture 6 Running Shoe provides a shoe made from synthetic material and a strong rubber sole. Featuring a heel height of 20 mm and a heel to toe drop of 10 mm, a removable sock liner is included within the shoe, providing accommodation for a medical orthotic in addition to excellent hygiene efficiencies. Features include a rearfoot GEL cushioning system which attenuates shock and eliminates impact, providing a comfortable transition and helping the cause of underpronation. In addition, durability and longevity are achieved through the trail-specific outsole, being suitable for all terrain and types of traction. Furthermore, these shoes are available in several designs and color options. The removable sock liner is a great feature of the ASICS Mens Gel-Venture 6 Running Shoe, suiting individuals with varying foot conditions and providing an all-round hygienic way to keep your shoes clean and fresh. 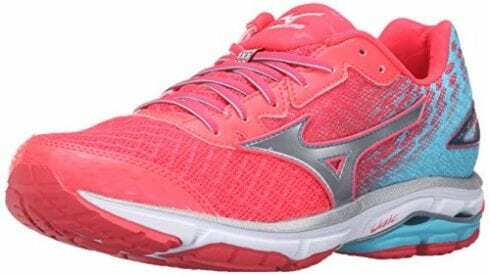 The Mizuno Women's Wave Rider 19 Shoe comes in four great color choices and designs, providing individuality in addition to comfort. Featuring a lightweight design and a U4iC midsole compound, these shoes achieve effective cushioning and relief from underpronation while weighing 30% lighter than similar shoes. 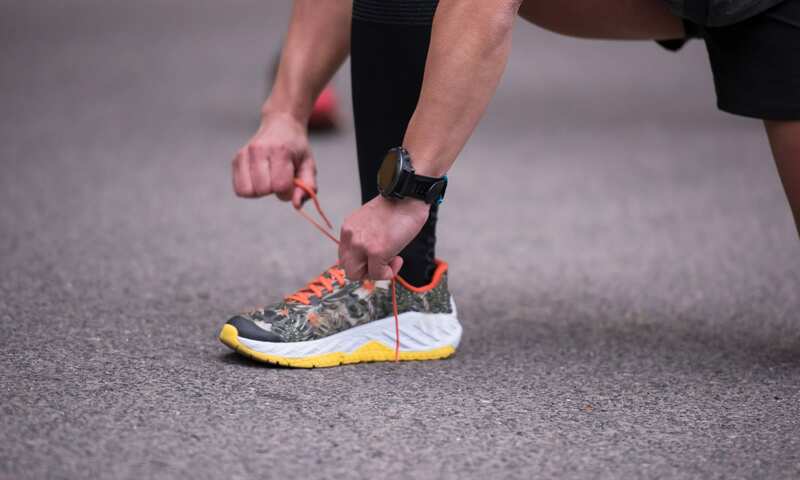 Providing a heel height of 9 mm, these lace-up shoes provide a synthetic outer material in addition to a rubber sole, providing a fresh and cool feeling while being strong enough for tough terrain. The dispersing of impact and shock across a wide area provides stability for your feet, being able to manage the causes and symptoms of underpronation effectively. Furthermore, the Mizuno Women's Wave Rider 19 Shoe features Mizuno Intercool which provides a full-length ventilation system to enable your feet to breathe. Additionally, Smooth Ride Engineering increase the energy transition from heel to forefoot, providing further comfort for your feet. The inclusion of the Smooth Ride Engineering feature is a great bonus for the Mizuno Women's Wave Rider 19 Shoe, providing a comfortable transition of energy and supporting your feet through the causes and symptoms of underpronation. The Adidas Women's Edge Lux W Running Shoe features a stylish light blue/light green design with thick, chunky laces. These shoes combine a rubber sole for durability across many terrains along with a knit-look synthetic material to ensure a breathable and fresh feel. 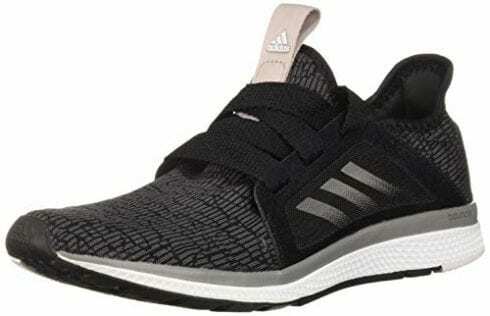 Featuring flexibility and a lightweight design, the Adidas Women's Edge Lux W Running Shoe weighs 2.2 lbs. The design allows for alleviation from pain associated with underpronation. The Adidas Women's Edge Lux W Running Shoe features a stylish knit-look design in a great color combination, enabling your feet to feel comfortable while ensuring that they look trendy. 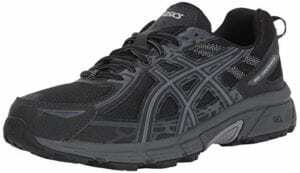 Featuring a choice of eight different color options and styles to choose from, the ASICS Men’s Gel-Cumulus 19 Running Shoe features a synthetic material along with a rubber sole. The lace-up design possesses a forefront of 13 mm, providing you with the ability to wear these shoes for long periods with the implementation of gel cushions at the front and back of the foot. Innovation provides the feet to experience IGS technology, enabling a great level of absorption and distribution of shock across the foot. The trusstic system technology ensures that the feet are safe, secure and effectively supported through all symptoms of underpronation, alleviating the pain throughout your arch and heel. Furthermore, a removable sock liner ensures that your feet stay cool, fresh and clean at all times, perfect for excellent hygiene in addition to assisting various feet conditions. 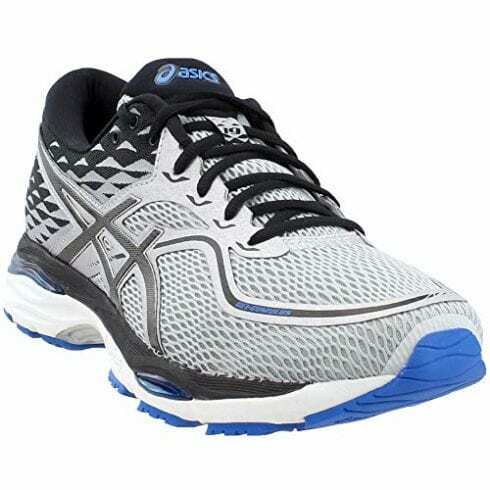 The ASICS Men’s Gel-Cumulus 19 Running Shoe features a hygienic removable sock liner, ensuring that you can keep your feet clean, cool and fresh, in addition to comforting and supporting your feet through the causes and symptoms of underpronation. Providing an air mesh material to achieve a cool and breathable shoe, the Mizuno Men's Wave Inspire 12 Running Shoe will help you to feel comfortable even for the most painful symptoms of underpronation. The DynamationFit system enables your shoes to work alongside your feet, being engineered to correct your gait actions as well as your underpronation movements and enhance your comfort and protection. Features include a smooth journey, ensuring that the transition and shock absorption which you feel are comfortable, while additional cushioning is provided through the high-grade removable sock liner. The use of U4iC ensures that the lightweight sole offers high performance and drive, supported by the use of Pebax Renew which is injected in the sole to retain high-performance characteristics. Your feet will feel cool and fresh in addition to relief from underpronation, with the use of Mizuno Intercool eliminating heat and humidity and incorporating a ventilation system throughout the sole of the shoe. 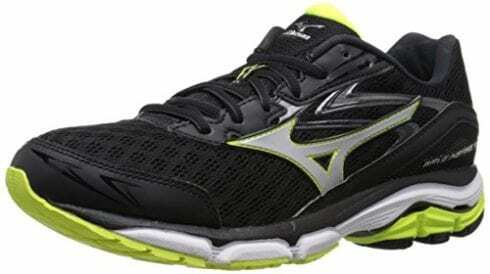 The Mizuno Men's Wave Inspire 12 Running Shoe is available in a deep blue design. The Mizuno Men's Wave Inspire 12 Running Shoe really is the pinnacle running shoe which is tailored for individuals experiencing underpronation. Every aspect of the condition is considered and provided for, enabling you to live life to the full. The Brooks Glycerin 15 Men's Running Shoe is a stylish offering, being available in six different styles and color options. Consisting of a mesh synthetic upper shoe and a tough rubber sole, the cushioned footbed enables you to experience a steady and enjoyable ride without the pain of underpronation problems. Offering super soft cushioning through the use of Super DNA, your feet are provided with 25% more flexible cushioning than that of similar shoes. Your whole foot is supported, with the upper foot and ankle surrounded by plush cushioning. Furthermore, a smooth transition is enabled through the heel to toe effective transition zone. 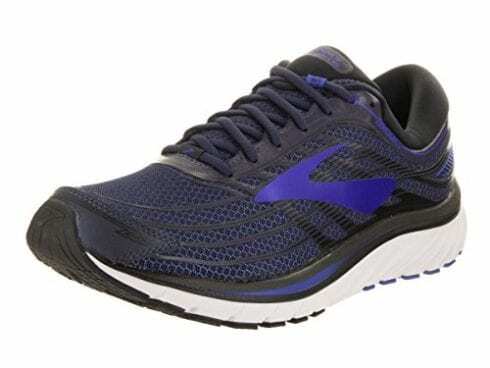 The additional support and plush cushioning around the top of the foot and ankle is a great feature of Brooks Glycerin 15 Men's Running Shoe, providing everything you need to support your feet through the causes and symptoms of underpronation. The New Balance Women's 1080v8 Running Shoe provides a synthetic sole in addition to a synthetic material shoe and engineered mesh. Offering a perfectly cushioned ride, the Fresh Foam midsole utilizes the latest technology to provide the correct level of support and comfort, helping you to prevent against the causes of underpronation and remedy the symptoms. The lightweight sole is highly durable and is perfect for many types of terrain. Being available in a huge range of twelve color choices, there is a design that is suitable for everyone. 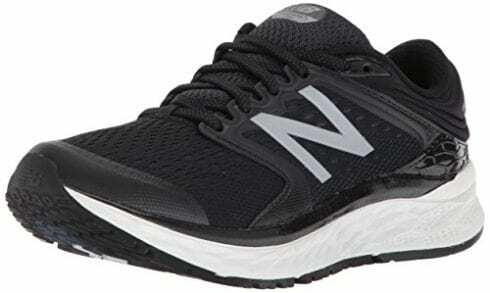 As well as providing support and comfort for those experiencing underpronation pain, the New Balance Women's 1080v8 Running Shoe is also a stylish and modern choice with a total of twelve color choices and design options to choose from. The Brooks Women's Ghost 11 Running Shoe is available in eight different color choices and design styles, being made from synthetic materials with a synthetic sole. The lightweight shoe enables your feet to attain flexibility and comfort, ensuring that your shoes work in tangent with your feet. Offering an 18mm heel to toe drop, this lightweight shoe weighs only 9-ounces, providing additional freedom for your feet and providing less pressure and rigidity as your pain from underpronation will reduce due to an increase in support. The addition of the 18mm heel to toe drop is a great feature, providing further comfort and support for your feet, enabling them to become pain-free. Underpronation occurs when the foot rolls outwards at the joint of the ankle. Excessive underpronation can cause pain to radiate from the heel to the arch of the foot, and sometimes through to the knees and hips, and even back. Injury or damage to the foot tissue may also result. Underpronation and the pain which results can be addressed using a pair of supportive shoes which fit you properly across the length, width, and depth of your feet. Ensure that there is plenty of cushioning and support for your feet when you move. In addition to wearing the best and most supportive footwear, there are other methods you could try in order to combat this condition. For example, ensure that you warm-up and cool-down properly when you exercise, preventing injury and maintaining healthy tissue. Focus on the area of the feet which causes you problems, ensuring that the bones, muscle, and tissue are flexible and ready to go. You could seek the services of an orthotics, preventing and treating causes of pain in the heel. The feet may suffer from heel spurs which may be treated with a device called Heel Seats which are added to any pair of shoes. Heal Seats add structural support to the feet, reducing pain and heel damage. The Fascia Bar component of the Heal Seat is capable of treating injury to the plantar fascia ligament, providing additional strength and preventing further injury. You may be experiencing pain across your arches and the heels of your feet, although you are not sure whether what you are suffering from is underpronation. A simple way to determine that you are suffering from underpronation as a condition is to check for any patterns across your current shoes. If your shoes show a great deal of wear around the outer edge in addition to an outwards tilt, you could be suffering from underpronation. Oppositely, if your shoes are showing additional wear on the inside of the heel and under your big toe area, an inward tilt may be present, signaling that you are suffering from overpronation. Overpronation is when the foot tilts inwards at the ankle. However, if you are a neutral runner, the wear of your shoes should follow an AS-shaped pattern from the big toe to the heel, with no tilt being present. No, not at all. Standard running shoes will more than likely contain some padding for generalized comfort but not specific cushioning which supports the feet and cushions the feet from shock. 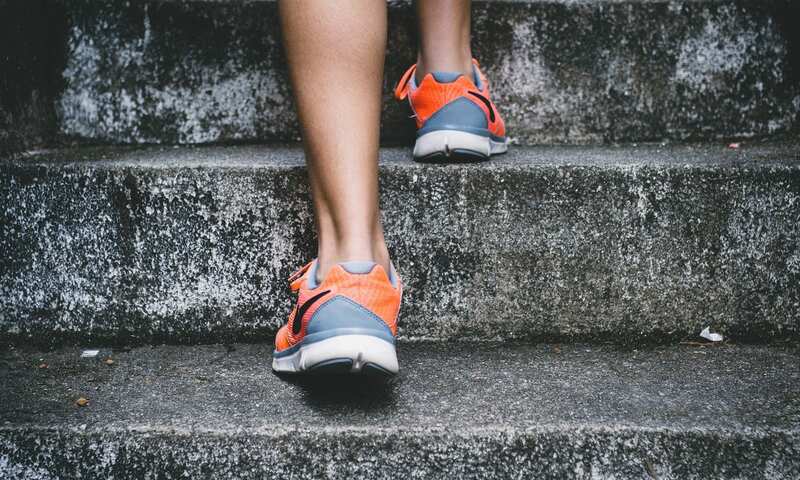 Buying a specialist pair of running shoes for individuals with an underpronation problem will ensure that a good level of cushioning is provided, allowing any shock absorption to be distributed accordingly. In addition, the correct level and type of cushioning will provide support to the foot, helping the foot to maintain a better position when you are walking or running. Most running shoes have tough, durable soles. However, this can also mean that the feet are restricted and lack freedom and ease of movement. Specialist running shoes may have a sole which is still durable but which has been specially designed to be lighter and more flexible. A lighter and more flexible sole helps the shoe to move with the feet, providing freedom and ensuring that the bones, muscle, and tissue are not restricted. The correct type of supportive footwear really can help you if you experience underpronation pain. However, if your pain from underpronation is debilitating, you should additionally seek medical advice as to the internal cause of the condition. For example, your underpronation may be caused by additional issues inside the heel or foot, rigid joints or flexibility or strength imbalance across the ankle. If these issues are not addressed appropriately, problems with your knees or hips may develop. Although, it may be possible that your underpronation was actually caused by unstable footwear. Pronation is the natural motion of your feet. While underpronation, also known as supination of the foot, is the rolling outwards of the joint at the ankle, overpronation is the opposite. An underpronator may be susceptible to shock-related injuries and require additional cushioning whereas an overpronator may require plenty of support and stability. 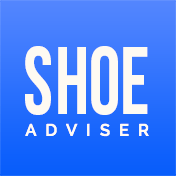 We hope you enjoyed our article on "10 Best Shoes for Underpronation in 2019", if so, please share and rate it.